Most people don’t enjoy cleaning. Unfortunately, though, it’s one of those things that has to get done, like it or not. Now, are you ready for some good news? If you know a few essential cleaning hacks, you can make cleaning easier, faster, and less miserable than ever before. One simple tip that may surprise you is that two simple ingredients- white vinegar and water- can clean just about anything. And, as a bonus, this simple mixture is much, much cheaper than the standard commercial cleaning products. To make this “magic mixture” yourself, combine equal parts water and vinegar in a spray bottle. Spray on surfaces and wipe up with a cloth. You’ll find that surfaces gleam and odors are eliminated with ease. Window screens and screen doors look nice when they’re first installed. However, they quickly become a gross mess of splattered bugs, cobwebs, and other outdoor grime and grit. Cleaning them seems impossible, but not if you know this simple hack. A lint roller, the kind you use on clothes, is perfect for getting the grime out of the tiny crevices of a screen door. Try it for yourself, and you’ll be amazed at how much you pick up. You’ll be even more surprised at how like new your screens will look when you’re done. Just as you wouldn’t expect lint rollers to work on screens, you might not expect dryer sheets to work on your toilet. But, surprise surprise, they do. 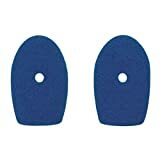 These robust sheets are particularly helpful for removing rings from the toilet bowl as well as other stuck on stains. So, pop on some gloves, grab a dryer sheet and go to work on your toilet. You will be amazed at what this sheet can get out. The secret lies in its robust, abrasive texture. 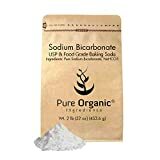 In fact, that texture also makes dryer sheets an excellent choice for cleaning baseboards and buffing out any small scratches or scuffs you find around the home. There’s nothing worse than getting a whiff of some disgusting, rotting smell coming from your garbage disposal. When this happens, run the disposal thoroughly for a while. If the smell is still there, then stuck-on crud is likely to blame. Fortunately, there is an easy way to get rid of it. Grab a toothbrush (NOT one you plan to use again), lift up the little folds on the garbage disposal, and then brush away the grossness, using water as needed as you go. 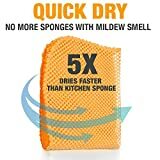 This is an easy way to get rid of all of those odor-causing food and trash particles and to ensure your house smells fresh again. And, for some bonus good smells, run a few slices of fresh lemon through the garbage disposal. The sweet, citrusy aroma should positively permeate your home. You just learned how to eliminate odors from your garbage disposal, but what about those odors elsewhere? Or, even worse, those odors you can’t pinpoint. For strange smells lurking in a room, a freshly-opened package of baking soda shoved in a corner can work wonders. 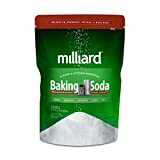 Baking soda naturally absorbs odors, so after a day or so, you should notice a vast improvement. Reusing your cleaning sponges is an easy way to save money, but it’s also an easy way to spread germs and bacteria if you’re not careful. 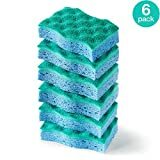 Fortunately, it’s easy to get your sponges looking great again and to get rid of potentially harmful bacteria. Just add your sponges to the dishwasher next time you run a load. You will find that, after drying, they perk up quite nicely. And, even more importantly, they will be fresh, clean, and ready for you to use all over again. As you can see, cleaning doesn’t have to be significant pain. In fact, it can even be fun, especially if you try out these simple cleaning hacks. There are much more out there too, so do your research to make cleaning easier than ever before.